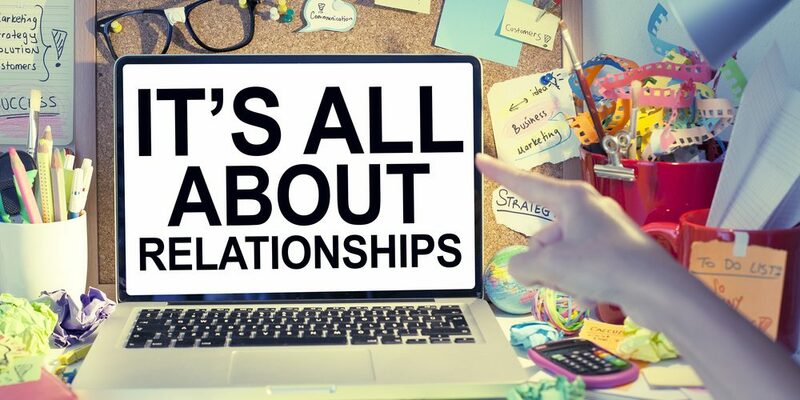 To succeed in business, you need great products or services, efficient machines, plenty of capital and a pleasant working environment, but the importance of all these elements of success pales alongside the importance of developing relationships, both with your customers and your suppliers. Often known as social capital, the quality of your business relationships can help you succeed when others fail, allowing you to continue to be profitable during downturns in the market and ensure you receive favorable treatment in comparison to your competitors. Here are a few tips on how to make the most of the way you interact with others. Building solid relationships with customers is the key to consistent growth. The first step in doing so is to ensure that your products and services are always of the highest possible quality and that your customer service team is able to resolve any issues with the minimum of delay. You should also make an effort to get to know your clients on a personal basis, using all the available data you have on them. Whether interactions are taking place online or on the telephone, having your staff take a few additional moments to make a few sincere inquiries into a potential customer’s life can leave a lasting positive impression. With so many of our interactions – both personal and professional – being recorded online for posterity, ensuring your customers have positive experiences can result in higher ratings and a greater willingness to share and recommend your products and services via social media channels, all of which can boost your profits. The business relationships that are most vital to the success of your enterprise are the ones going on within your company itself. Finding a way to improve the efficiency of communication and collaboration between departments should be a priority if you want your firm to experience consistent growth. While investing in an SAP platform can revolutionize the way your company does its business, many e-commerce solutions for SAP produce a great deal of unnecessary duplication. The best solutions, such as Omnia from Weaveability, eliminate this duplication, speed up your processes and create a stable platform on which to build company growth. No matter how efficient your own production processes are, you will not be able to create your goods or deliver your services on time if you are let down by your supplier. Clear communication is key to ensure you address any issues at the earliest possible opportunity and have systems in place to enable you to resolve them with the minimum amount of conflict. It can sometimes be the case that issues that seem to be the result of supplier problems stem from within your own company, so be sure to check whether or not this is the case before taking actions that may damage your future relationship with your supplier. As with customers, you should also ask for feedback on a regular basis so that potential issues or avenues for improvement can be explored at the earliest opportunity.